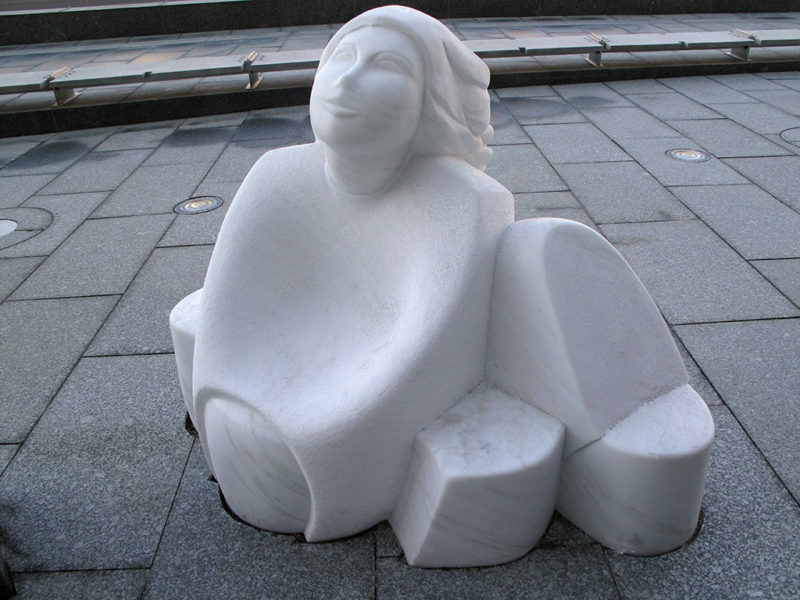 6 blocks of Colorado Yule Marble and 4 granite benches. 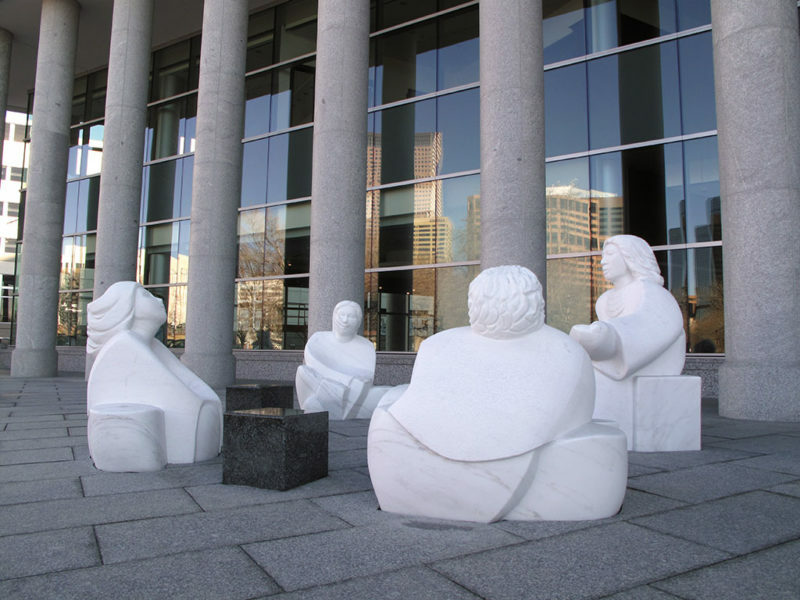 Set on the open plaza outside the Justice Center, adjacent to the main entrance to the Courthouse, these sculptures were created to demonstrate the Rule of Law. 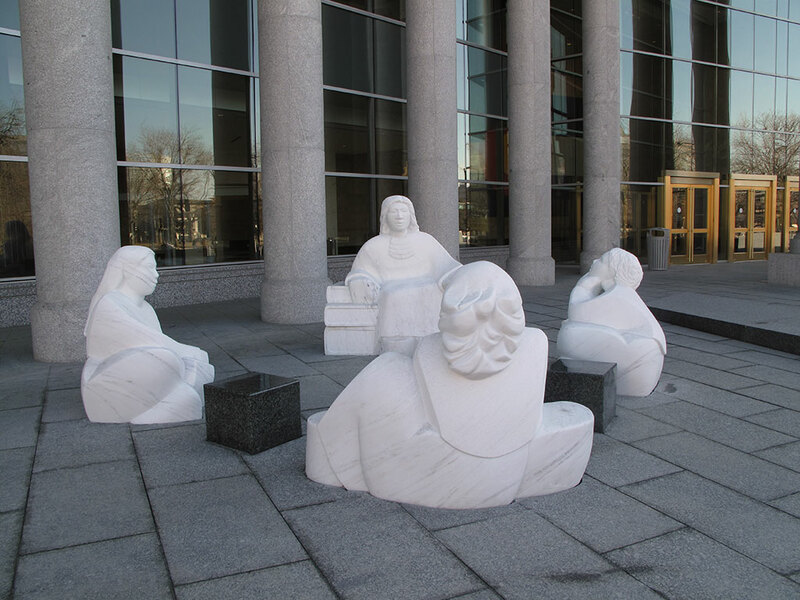 A broad topic for an artist, I chose to create two justices who are telling about the Rule of Law to four kids. 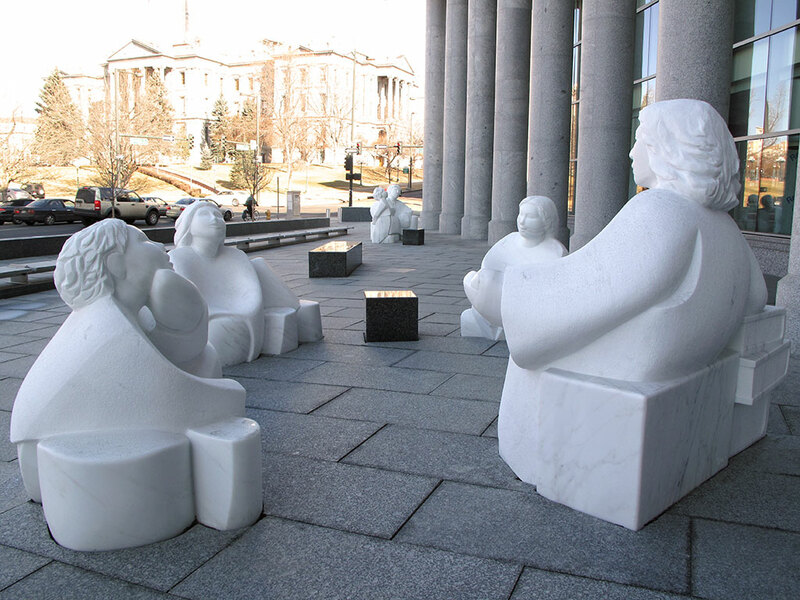 They are situated outside of the Learning Center in the Courthouse, so children of all ages will be exposed to them, and they can climb on them and become a part of the installation. 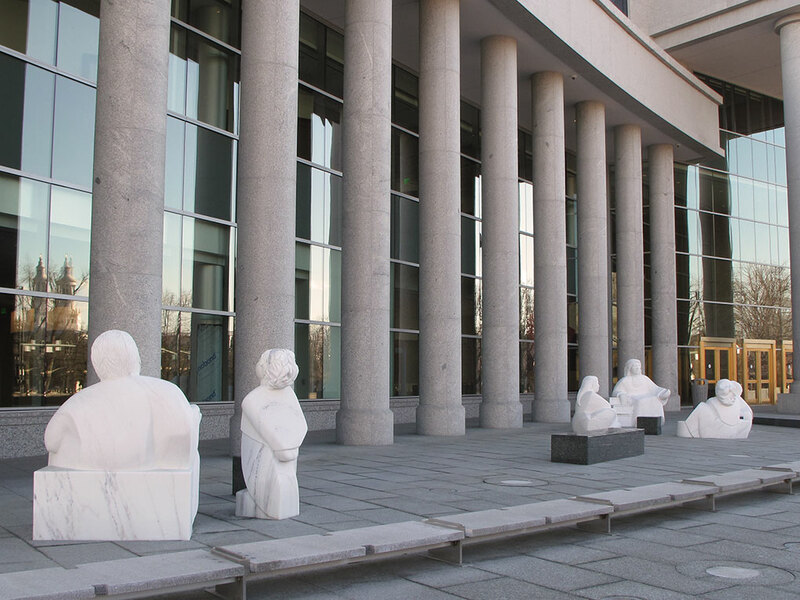 Once they go inside the Learning Center and perhaps take a tour of the Justice Center, perhaps they will have a greater understanding of what goes on inside that beautiful building. Click any image to begin slideshow.